My recent article in The Conversation is below, or go straight to the original article. There has been much discussion in recent weeks about Lance Armstrong, his legacy, and charges levelled by the United States Anti-Doping Agency (USADA) that the Texan cyclist spearheaded a systematic doping regime over many years. By opting out of the USADA arbitration process, Armstrong faces a lifelong suspension from competing, coaching or holding any official position in professional cycling, and has been stripped of his seven Tour de France titles. But now the dust has settled, what can the Armstrong case tell us about anti-doping regulation in cycling and in sport more generally? Is there too much focus on punishment for “dopers” and too little focus on prevention? And perhaps more importantly, what are the effects of prioritising punishment? Recent media commentaries have accused USADA of hypocrisy, arguing that the agency charged with protecting “fair play” in sport acted unethically by abusing legal processes and taxpayer dollars to ensure Armstrong’s punishment. Others, including James Heathers on The Conversation, have pointed to the mismanagement of drug control. The judge presiding over Armstrong’s lawsuit against USADA, Sam Sparks, has also questioned USADA’s motives and ability to work with other governing bodies to regulate and promote cycling. These criticisms are worth taking seriously. Having studied the anti-doping regime since 2007, I can attest that nearly every anti-doping official I have met has said that “catching” Armstrong would be the anti-doping movement’s crowning achievement. Many of them have stated that changes to the World Anti-Doping Code that took effect in 2009 (such as the requirements for governments detailed in Article 22) would finally make it possible to catch Armstrong. Citing the growing number of signatories to the UNESCO International Convention Against Doping in Sport, anti-doping officials often contend that increasing government support will ensure more resources for the fight against doping and more punishments. And they are right. Well, sort of. Armstrong’s former teammate, Tyler Hamilton, spoke candidly with 7.30 earlier this week. Before USADA brought its latest fight to Armstrong, the US Department of Justice had been investigating the Texan. But in February this year, the Department of Justice closed its two-year investigation for reasons that, although still unclear, suggest there was not enough evidence to criminally convict him. While USADA put together a case against Armstrong, it still couldn’t “catch” him in the way that many regulators I have spoken with had hoped. Anti-doping officials had expressed to me a desire for severe punishments, some going so far as to say Armstrong deserved something akin to what US sprinter Marion Jones endured. 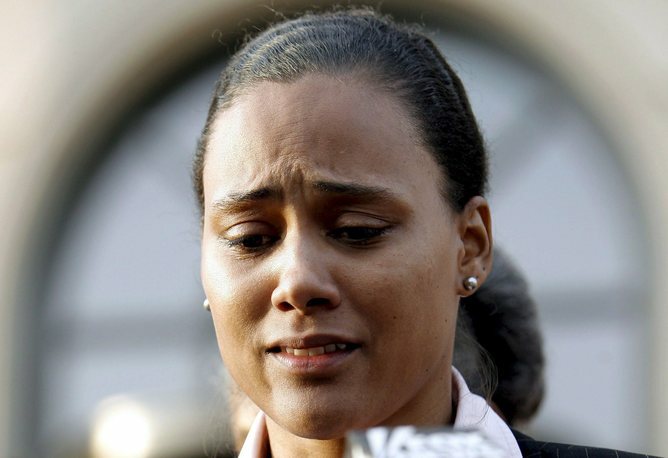 In 2007, Jones lost her Olympic gold medals and lucrative sponsorships, and served a six-month prison sentence for perjury after finally admitting to doping. In contrast, Armstrong is largely unaffected. With that in mind, it’s worth asking if those levels of punishment are really what the anti-doping advocates should want. Jones spent much of her prison sentence in solitary confinement and is a disenfranchised felon for the rest of her life. A mother of three, she cannot vote, and she cannot be employed in many workplaces — except, luckily, the Women’s National Basketball Association. Getting behind fairer and safer sport is one thing; openly supporting broader, arguably unfair, punitive trends is another. Stepping back to consider these implications is important. While I have yet to meet a professional or aspiring professional cyclist who thinks Armstrong did not dope, there is something more troubling behind his case: a global, anti-doping regime structured to favour punishment, negating opportunities for more responsive regulation. And by responsive regulation, I mean attempts to balance the use of punishment with meaningful modes of persuasion. Recently, the Biological Passport system – which monitors athletes’ “biological variables” over time – yielded nine anti-doping violations just days before the London Olympic Games. More generally over the years, the Court of Arbitration in Sporthas overwhelmingly ruled against athletes appealing anti-doping violations. During my own research in Australasia and the United States, I have witnessed many athletes – particularly young men from working-class and ethnic minority backgrounds who perceive sport as a viable career pathway – receive lengthy bans for relatively minor and non-performance-enhancing substance use. Dreams and livelihoods are jeopardised, because anti-doping regulation takes a punitive stance – sometimes even more so than the national justice system – rather than adopting more proactive or culturally sensitive measures. While the case against Armstrong points to regulatory shortcomings, it may also be a mistake to suggest his case is indicative of the global regime. I have encountered many zealous anti-doping advocates, but I have met just as many administrators committed to helping athletes navigate the complex web of rules woven by the World Anti-Doping Agency (WADA). Currently, international rules actually limit local agencies’ abilities to deliver specialised programming, in part because responsive authorities commit many resources to help athletes comply with WADA’s guidelines. In the aftermath of Armstrong’s case and the actions taken by USADA, it seems timely to ask whether (and how) resources can be more effectively channelled in proactive and responsive ways. To date, the legacies of anti-doping regulation are not fairer or safer sport, merely an expanding list of athletes punished for violating the rules. Some athletes have genuinely doped but, at least in my experience, the majority have been duped by a system charged with preventing and deterring doping in sport.